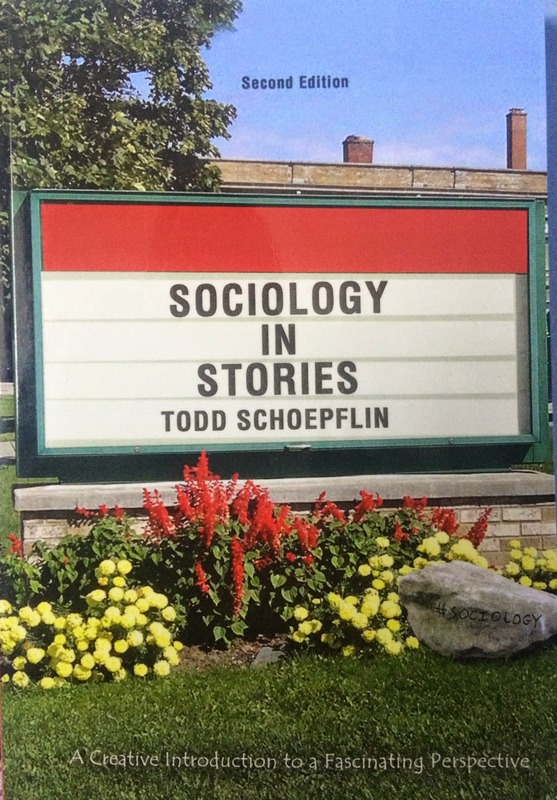 I tried something new in Introduction to Sociology yesterday. I used Postsecret.com as an example of how we don't reveal everything about ourselves to the people in our networks. I had already taught the basics about Erving Goffman's Presentation of Self in Everyday Life. I like the idea that social interaction is an "information game" in the sense that we strategically reveal some details but conceal others. We keep secrets from friends and family and there are things we avoid talking about. In the class when I introduced Goffman, I emphasized the point that surely we don't tell people we know everything. But that doesn't mean we have to keep all our secrets. I find it fascinating that people use Postsecret.com as an outlet to share their secrets. It's an anonymous way to circulate a secret. Maybe it makes you feel better to unload your secret. Maybe you were itching to tell someone but couldn't trust anyone to keep your secret. So as a follow up to the class about Goffman, I showed a documentary about Postsecret.com and then had a brief discussion with students when it ended. The documentary at times feels like an advertisement for the site. But I like hearing people associated with the site give their perspective about secrets and I like the examples of secrets that are shown throughout the video. And I like how the video includes footage of college students going to live Postsecret events on campus (there are students who take to a microphone to share a secret in public). But I didn't execute the discussion as successfully as I hoped. I counted on students having spontaneous reactions to the video. I figured they would offer insightful comments and that I could mostly play the role of moderator. But they were quiet (perhaps a Monday effect) and the few questions I did have planned didn't really spark an enthusiastic discussion. It was a reminder that I can never have enough discussion questions in store. When a class goes quiet, it's best to have plenty of questions ready or get them involved in a short writing exercise. Maybe I should have gone to the index cards to have them respond to the video. Well, a lot of teaching is trial and error. If I try this topic again, I need to be more creative in building a discussion around the video, and need to be better prepared if the topic is one that leaves them on the quiet side. I don't know if this is a poem or a blog post. I wanted a way to say it's really just a day. Excellent 16 minute documentary about Mo'ne Davis. Directed by Spike Lee. Enjoy. I frequently listen to the Pearl Jam station on Sirius. I especially enjoy the concert footage that plays on the station. I've never seen Pearl Jam live so it's only through listening to the radio that I came to appreciate Vedder's interaction with the audience. In between songs he says things that surprise me. I like how he meanders and ponders. The music surprises me too. On the way to work today I caught the end of "Waiting on a Friend." I had no idea they covered the Stones in concert. Goodness. So what's the thought for the day? During a show in Vienna that took place on June 25, 2014, Vedder said: "Don't jump ship. Don't become the man overboard. They might not find you." And what did he mean? Well, it's open to interpretation and frankly I haven't arrived at my personal interpretation yet. But the words struck me and that's why I share them here as thought for the day. Tomorrow I'm teaching Karl Marx in Introduction to Sociology. This is a rough outline of my plan. I'll probably begin class by showing "Wings" by Macklemore and have them analyze the video. Then I can explain the concept of commodity fetishism. This is an exercise by Patricia Louie that's available at The Sociological Cinema site. I will also share Peter Kaufman's explanation of commodity fetishism that he wrote in his blog post "You Might be a Marxist" at Everyday Sociology Blog. Then I'll mention that Pope Francis is a critic of capitalism. A quote from the Pope in this article that stands out is: "It is not a problem of Italy and Europe...It is the consequence of a world choice, of an economic system that brings about this tragedy, an economic system that has at its centre an idol which is called money." I also plan to show and discuss a three minute video ("Karl Marxio Brothers") posted at Critical-Theory for it's themes of alienation and exploitation. Another video I plan to show and discuss is a six minute video about cocoa farmers who taste chocolate for the first time. This is another exercise from The Sociological Cinema, available here from Lester Andrist. I'll finish by talking about what happened at Rana Plaza in Bangladesh to emphasize the importance of working conditions and to show what can happen when people work in hazardous places. The article mentions safety upgrades, labor laws, and workers' rights--these are things I want students to consider. I think these examples will demonstrate that Marx's ideas remain relevant and significant in the world today. The week started with football. 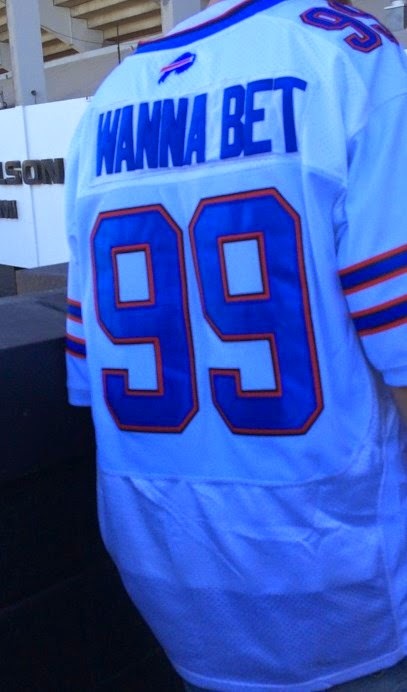 I went to a Buffalo Bills game with my brother and cousins. The game was boring but it was worth it to spend time with family and enjoy a day in the sun. Watching people was more fun than watching football, which is unsurprising for a sociologist to say. For me it's fun to see what people are wearing. I have no idea what this jersey means, but it caught my attention. I feel bad about cropping the picture so as to cut off this person's head, but I don't want to show his face. 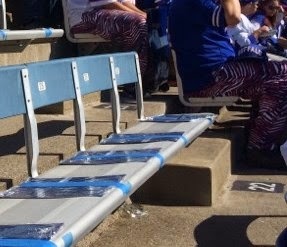 I am endlessly amused by people who wear Zubaz. These silly pants have been around for a long time and I love that people wear them. There may come a time when I invest in a pair. In all, it was a pleasant day, even though the Bills lost. Skipping ahead to Tuesday, I enjoyed a great day with my 3-year-old son Mack. I already blogged about it so click here if you want to read about our nice day together. Something else that stood out from the week was a New York Times piece about Instagram influencers. That's right, there is such a thing as Instagram influencers and click here for proof. Articles like this make me feel like I live in some other society. After I read the article I wrote a few tweets that I still like a lot. One of these days I'll leverage my something for something. He never became an influencer but some regarded him as a persuader. 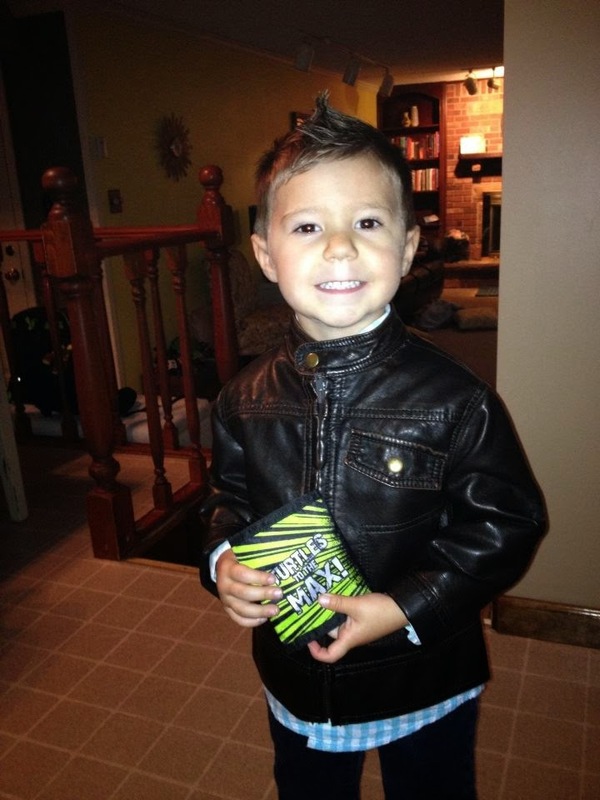 Moving ahead to Friday, it was picture day at Mack's daycare so he was looking pretty smooth. My wife posted a picture of him on her Facebook. Dozens of people liked the picture and commented. This provided an opportunity for one of our friends to tease us by saying "This is proof that coolness skips a generation." If I were on Facebook I would've liked his comment or busted his chops in return. Now it's Saturday morning and I have already completed a trip to the grocery store. 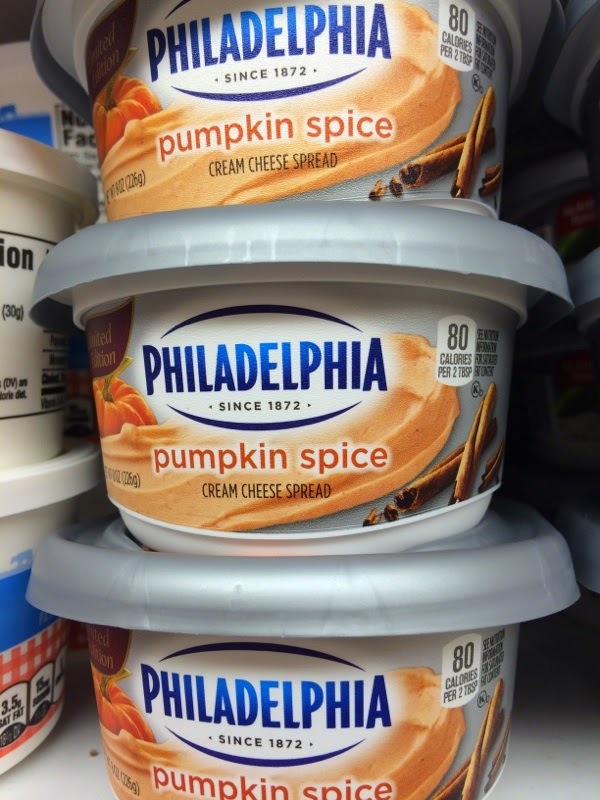 I noticed pumpkin spice cream cheese which strikes me entirely as TRYING TOO HARD. Well it's only Saturday morning so we have plenty of weekend to go. I shall share additional musings should anything semi-interesting occur. Woke up around 5:30 this morning, graded some exams, then made lunch for my 6-year-old before he went to school. On most Tuesdays my 3-year-old son Mack spends the day with my in-laws, giving me a bunch of hours to grade, prepare classes, go to the grocery store, do laundry, exercise. My normal. But I'm with Mack today and it happens to be 70+ degrees so we went to the park to play. It felt like the rest of the world was at work until a group of kids from a nearby preschool took over the playground. Mack and I found some quiet at the baseball field. Sometimes life gives you a home run and you don't even have to do anything to earn it. Mack made friends with an older kid who pushed him on a swing for a while. Then we took off to eat hot dogs at a nice little place near the playground. Now the little bird is taking a nap so it's time to get back to grading. 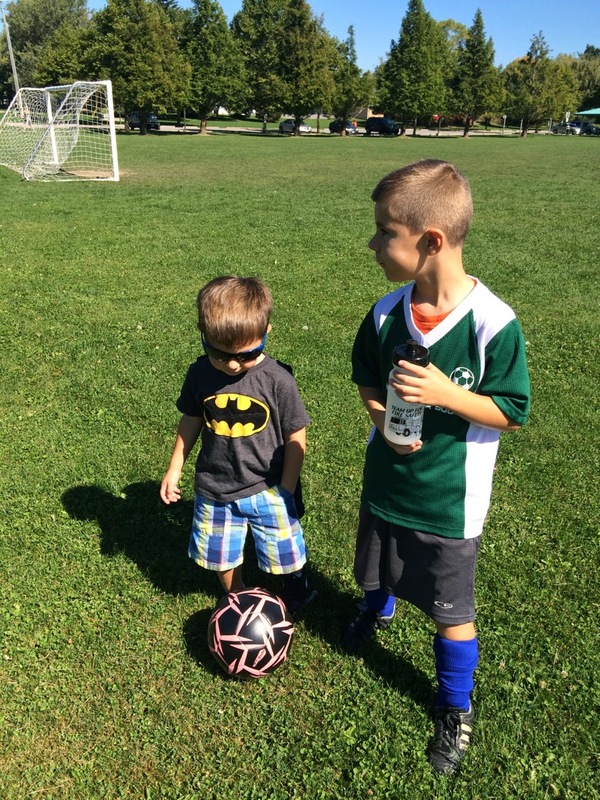 I truly enjoy my life as a soccer parent. I never played soccer as a kid. Back in the day in Niagara Falls, we played baseball, street hockey, basketball and football. Soccer wasn't popular in my peer group. I still don't understand all the rules of the game. But it is a beautiful sport to watch. My 6-year-old son played baseball this summer. He had fun with his teammates and was proud when he made good plays, but the games dragged on for hours and he would get tired and frustrated. Some of the other kids seemed to love being at the ballpark. There were times my son seemed to merely be tolerating it. I take no joy in watching my son be joyless. Soccer appears to be a different story. By all indications he seems to love playing soccer. He loves practicing and playing. And that makes it fun for me. Watching Troy play soccer on Saturdays has become the highlight of my weekends. Watching him having fun and loving life is a wonderful feeling. 1.) Is there any research to explain how a Christopher Cross song gets into your head? 2.) If someone invites me to a Tupperware party, I think I will attend. I sat in front of a television this morning waiting for work to be completed on my car. LIVE with Kelly and Michael was on the telly. I think that's the name of the show. No doubt I'm familiar with Kelly Ripa and Michael Strahan. But I've never taken interest in the show; nor was I a fan when Regis Philbin was co-host. Happy talk is not my thing. Kelly and Michael seem to have decent chemistry. They served up an okay interview with Ted Danson and plugged a cookbook from Martina McBride. On the one hand, it was a welcome departure from cable news. I've written before about Fox News being a common sight on TVs around town. It might be the case that anything is better than Fox News. But really, morning television in America is awful. Honestly, I have no idea about how to make it better. So call me a complainer without a cause.